Hiring freelancers is a more practical option in completing your project compared to hiring a local employee. Trusting someone you haven’t met face-to-face could be challenging but there are ways to help you get through this stage. Be smart about shortlisting candidates for the job. Do your background check first before awarding your project to a specific freelancer. The portfolio gives you an overview of their technical skills, while ratings and reviews in their profile page show their soft skills, like how freelancers communicate with employers. Re-hiring freelancers you’ve worked with before also makes things easier because you’ve already built trust. How do you supervise ongoing projects? Are you the type of employer who’s always there in every step of the way? Or do you give your freelancers the freedom to do their own thing as long as it’s within your agreed terms? Whichever way you manage freelancers, transparency builds confidence. Before the freelancer starts working on the project, let them know that you expect and appreciate receiving regular updates. On your end, you can be transparent by giving honest feedback. Ask your freelancers to use the Freelancer Desktop App. 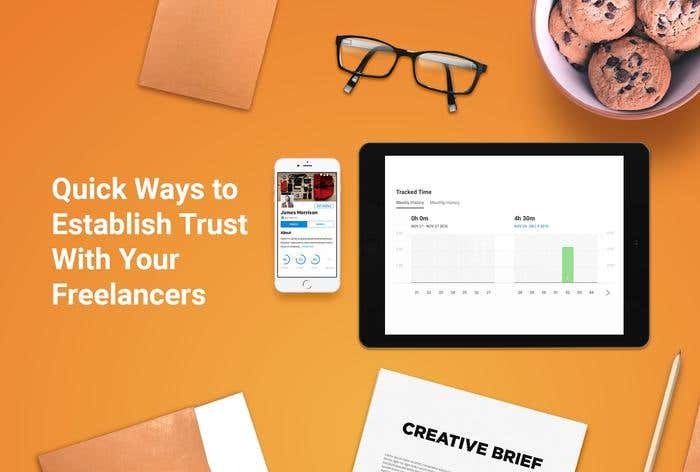 Using the app’s timetracker assures freelancers that they will be paid for the rest of the time they’ve worked on your Hourly projects. The app automatically generates an invoice for the tracked time, which means that all the hours billed are accurate. You can review the tasks your freelancers did for your project with the screenshots that the app randomly takes. This feature lets you know what your freelancer did to complete a milestone and guarantees that you only pay productive hours. You have great hopes for your business and each task you do brings you closer to your goals. You can choose to do it all by yourself but some things are better done with other people’s help. If the task is that important, work with someone you can fully trust. Do you have an interesting idea you’d like to try in your business? Post a project today.